The fire that was started by a vehicle breakdown along Hwy. 50 on Monday is now 80% contained. The El Dorado National Forest Service is reporting 864 personnel assisting with firefighting activities. The estimated containment date is Friday, July 11 at 6:00pm. Traffic on Hwy. 50 was being held through the fire area on Monday and Tuesday, but traffic is moving normally at this time. The fire has burned more than 600 acres, but no homes have been destroyed. Smoke is blowing toward unpopulated areas so health concerns are at a minimum. 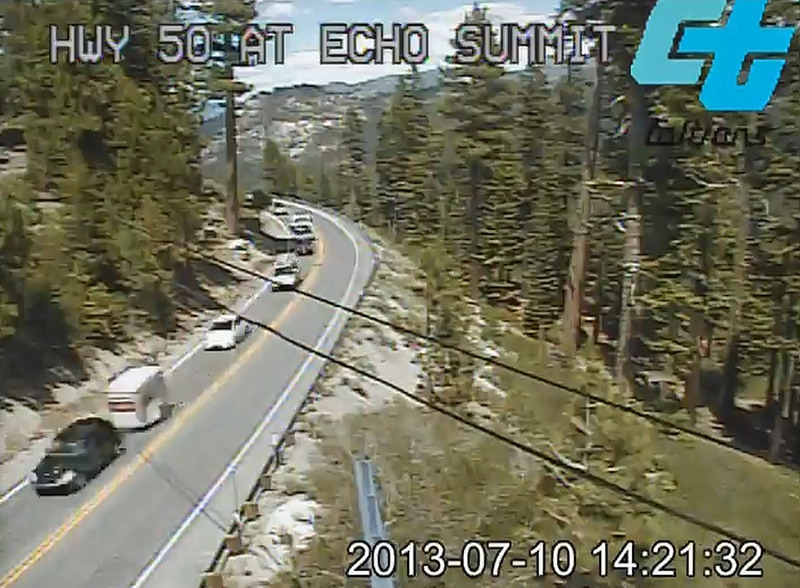 The Echo Summit Ozone reading is in the “Good” category, at 42 ppb. 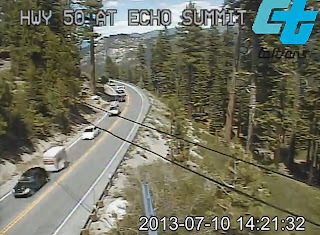 The Caltrans camera at Echo Summit shows blue sky and traffic moving normally.